We set out to take a classic design with lots of history and make it obviously something new. We took the op-amp version of old PI and inverted one of the stages, brought out the midrange, tightened the bass, and most importantly, added a Germanium transistor output! Yes, this is a opamp-transistor hybrid. Don’t be miffed by op-amps in your pie folks, the germanium touch at the end makes everyone smile around the shop here. We wanted to celebrate our 12th pedal of the year by offering it in two forms. Two choices, 1) Custom Art in a late 1960’s style or 2) Greek Gold Deco. The first is hand drawn by Erin Lofties. 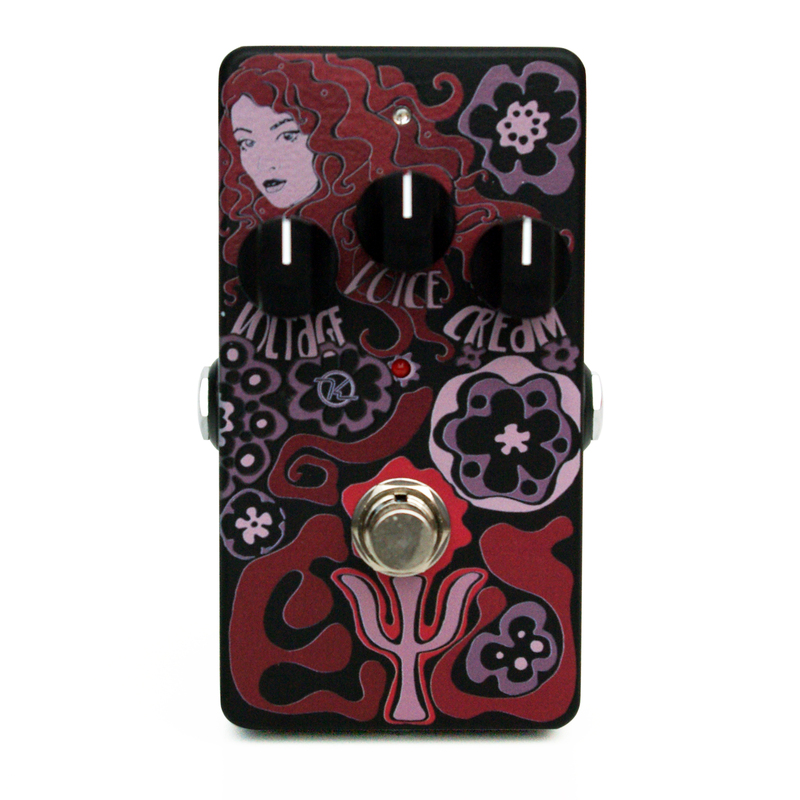 Her stunning artwork looks out of the 60’s and was completed this week specifically for this pedal. Then then Gold Brick Greek God model. Stripped down, simple and clean. Audio and Video Clips soon – Shipping After Christmas is more than likely unless you were part of the first 50. How do you make a design different? Put your own spin on it? You can make it distort differently, you can make the tone different, add some features, you might even be able to put a little lipstick on it. At the first audio/video repair shop I worked at in 1989, I remembered seeing clipping or limiting diodes, LEDs in fact, in certain types of gear where there were A/D converters. I noticed as I was working on the equipment that the LEDs were lighting up on the inside of the unit when the program material was high enough. No one could see them except the service tech. How cool would that be if everyone could see them on their distortion pedals?! So I’m pretty sure I was the first to make it a standard feature on a guitar effects pedal by putting the clipping LEDs on the outside of the pedal when I built the DS-1 Seeing Eye mod and later the Ultra mod. It’s done pretty regularly now on my pedals including the latest Red Dirt Pro and Stahlhammer. They might not light up very brightly, but that doesn’t matter, they are still doing their job. And so, I wanted to dive into the old Muff and make it mine. Rearrange things, add some bling, make it Psi Fuzz! It seemed like I could have fun doing an all germanium one, but that was done already. 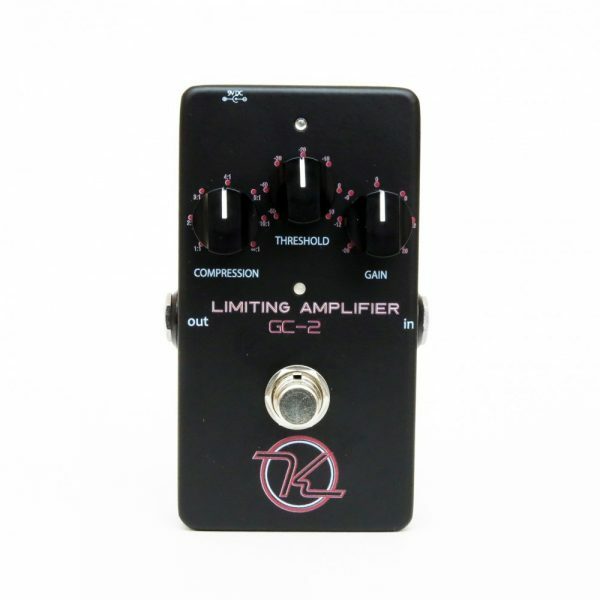 It seemslike there isn’t gross overpopulation of op-amp versions of the old gal. But what to do to make it mine, at least in some way? Well we can add to the circuit. 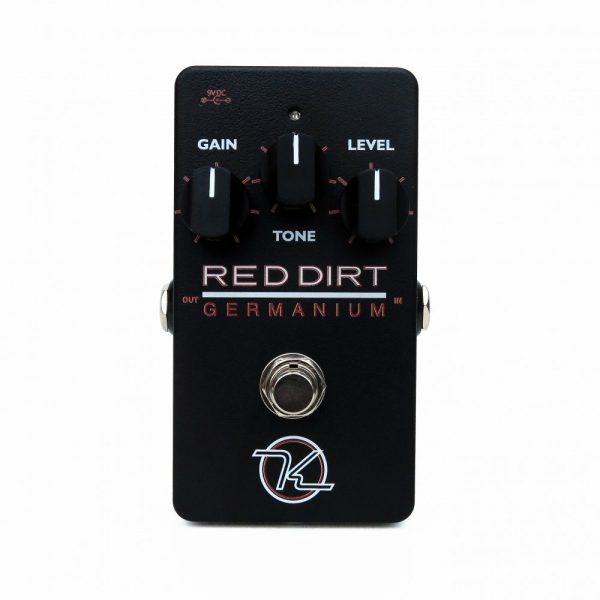 Again, I was thinking germanium transistors since they always have a fun sound. So let’s add a common emitter amplifier to the end. That would put a germanium spin on the overall sound. But we have phase inversion then. Input and output are in phase on the vintage pedals and I wanted to maintain that. Great! I get to play with the stages! The first thing I wanted to alter was the 2nd “gain-stage” and filter. That’s a Sallen-Key filter and you can only make it using a non-inverting style op-amps. I got to play around with values and changed things up a bit. I wanted to know how it felt to swing that 1KHz 2nd order filter around. So I made it go up and down. In and out came the harmonics…and the noise. Very cool. I can set that filter to where I want it. I want it to have a bit of fire and life and not feel too cramped in the high end. 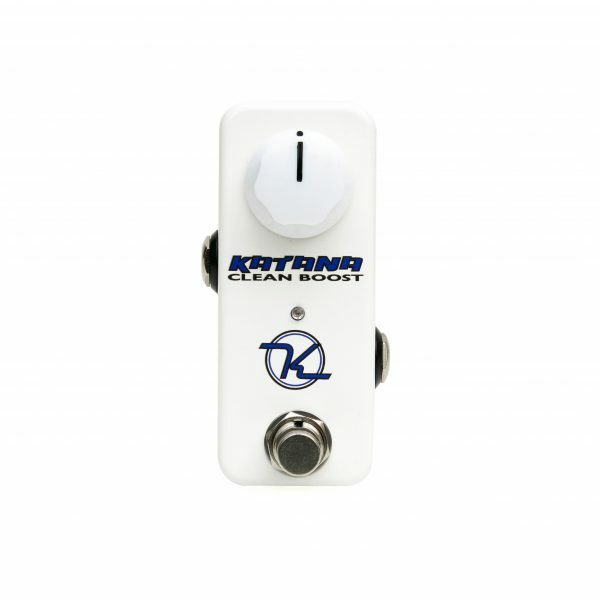 I’ll use a lower noise, mildly more expensive IC to combat noise instead of kill the guitar tone. Okay, still have to invert the phase somewhere! Yup, the first stage is where it gets it. I changed a few things around to make it a non-inverting op amp and it works well. I’m still playing with those values but I dig it. Right now the low pass filter for the first stage is about 10Hz if I remember correctly and that’s okay with the girls I date. Phase is correct (with the soon to be added germanium gain stage) and I’ve changed the design so far, even if trivially. So I changed the 6 silicon diodes in the feedback of the third stage to 2 LEDs and yes, one of them will poke through the hole in the top. The “Keeley Mod” has been done to it, including blue as Neptune Psi Fuzz Blue LED. (Yes, another first from Keeley Electronics.) And finally, the pre-climax to this story, our phase is in crisis, the hero takes action, the germanium amplifier stage! Ahhh, fitting like a glove between the Voice control and the Voltage control is a common emitter amplifier using a AC187. I am pretty happy with the biasing of it. The collector sits around 4.5V and we get a gain of 10dB out of it. Oh wait! We don’t want this thing not putting out when it gets hot! That would be as wrong as a double negative! You know, when it’s a 113 degrees in the shade and some Rock God is on stage in Texas, just working it for all it’s worth, he don’t want things to blow ya know. Craighton and I get the heat gun out and sure enough, Mr. Semi-Conductor from the 60’s sags and wimps out in the heat. Just like your poor old fuzz face. When the mercury hit 115 the lights went out. Okay, off to the parts room. Out comes a real germanium diode. Not the Shenzhen China Schottky ones, but some good strong American ones. Ones that behave the same as the transistor when it gets hot. We used the germanium diode in a reverse polarity fashion across the base-emitter junction of the transistor to offset the temperature coefficient problem. Turned on the heat gun, just let it blow…it got hot..really hot…well over 140 degrees…and it never stopped pumping out the love. Our version has a single integrated circuit package, a quad op-amp, and a single transistor. Trim and Slick! I love it! Sounds terrific! We still need to fine tune this design a bit more but, there you have it; The Psi Fuzz by Keeley Electronics. Coming soon to a pedal board near you! Well, it’s out now! We have something we are proud to present to you. PSI FUZZ! Be the first to review “Psi” Click here to cancel reply.